Just in case you missed the article in the Everett Herald on Sunday, here is a list, complete with links to our catalog, of titles our writers are looking forward to reading this summer. So many books, so little time. A fun DIY book of awesome summer projects by the author of the popular blog Oh Joy! Part memoir, part guidebook for other Awkward Black Girls, laughter and insight in equal measures. I’m halfway through and find myself wishing I had a BFF like Issa! Tanya and Connor stumble on a deadly secret while working at the digital mapmaking company where Tanya’s dead father once worked. Mystery, adventure, and hopefully some romance! A dark, fantastical, multi-generational tale about a family whose patriarch is consumed by the hunt for the mythical, elusive Sasquatch he encountered in his youth. The author of this novel is speaking at a library conference this fall and I want to read it first! The All the Wrong Questions series features a young Lemony Snicket being mentored in the art of detectiving by a mysterious woman, whilst attempting to unravel perplexing questions in the curious village of Stain’d-by-the-Sea. The eternal city has culture, monuments and beauty in spades but oh my, the food. 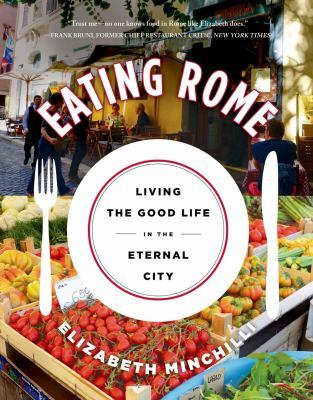 If you don’t have the time or money to visit the ancient capital this summer, this book should offer the next best thing with a culinary tour from a local expert. Set during WWII, Maddie, her husband Ellis and his best friend Hank leave their pampered high society lives in Philadelphia after falling out of grace with family in search of the Loch Ness Monster. This is a moving love story set in an unusual setting. T.C. Boyle’s The Harder They Come is on my list because I loved Tortilla Curtain. Inspired by a true story and set in contemporary Northern California, it explores the volatile connections between three damaged people as they careen toward an explosive confrontation. As he did so brilliantly in The Great Bridge and The Path Between the Seas, David McCullough once again tells a dramatic story of people and technology, this time about the courageous brothers who taught the world how to fly, Wilbur and Orville Wright. Go Set a Watchman by Harper Lee would be a great summer read and is sure to be popular. Twenty years after the trial of Tom Robinson, Scout returns home to Maycomb to visit her father and struggles with personal and political issues in her small Alabama town. Born in a brothel in late eighteenth-century England, homely Ruth escapes an uncertain future in an unlikely place: the bareknuckle prize fighting rings of Bristol. Gay, straight, questioning, and everyone in-between and beyond. This book is an instruction manual and question and answer session for anyone interested in learning more about growing up LGBTQ. A funny, honest, and enlightening read for teens and adults alike. In the apocalyptic future, Americans are segregated by their credit scores. Those with bad credit, dubbed Subprimes, inhabit an underground world of unemployment and fear. Follow a Subprime family as they journey east to seek out a better life. After being displayed at the 1904 World’s Fair’s Human Zoo, a Congolese man (dubbed a ‘pygmy’) was moved into the Monkey House at the New York Zoological Society. This is his shockingly true story of racial prejudice. 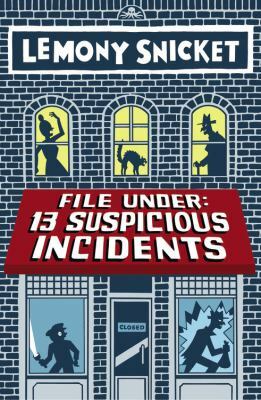 This entry was posted in Book Lists and tagged summer reading by everettpubliclibrary. Bookmark the permalink. Carol, you will love “The Misadventures of Awkward Black Girl.” I don’t often laugh out loud at a book, but this one had me laughing so hard!